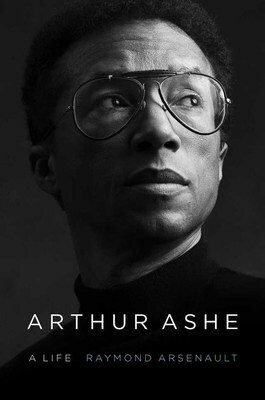 ST. PETERSBURG, Fla., Aug. 21, 2018 /PRNewswire/ — While Arthur Ashe gained fame for his brilliance on the tennis court, it was his commitment to advancing causes such as civil rights, education and ending apartheid in South Africa that cemented his status as an American icon. Acclaimed historian and USF St. Petersburg professor Ray Arsenault has written the first comprehensive biography of Ashe, charting his transformation from a shy African-American boy from segregated Virginia to a cosmopolitan figure who transformed the world of sports and activism. This revealing look at Ashe’s life is based on nine years of research, including more than 150 interviews with the tennis star’s family, friends and rivals. Released on August 21, the book coincides with the 50th Anniversary of Ashe’s victory at the first U.S. Open, when he became the first African-American man to win a Grand Slam tennis title. «Ashe’s life is an amazing story, and there is nobody else quite like him in the history of sports with respect to what he was able to accomplish and the personal code of ethics he lived by,» said Arsenault. Born in 1943, Ashe was one of the state’s most talented tennis players by the age of eleven. Jim Crow restrictions initially barred him from competing with whites, but in 1960 he won the National Junior Indoor singles title. In 1968, he won the first U.S. Open title, rising to the number one tennis player in the nation. He later became one of the world’s most successful tennis stars, winning the Australian Open in 1970 and Wimbledon in 1975. During his tennis career, Ashe found a passion and a voice as a human rights activist and philanthropist. He founded the National Junior Tennis League, in which he worked tirelessly to provide tennis opportunities to underprivileged youth. In the 1970s and 1980s, he gained renown as an advocate for sportsmanship, education, racial equality and the elimination of apartheid in South Africa. Of all of the historical characters that Arsenault has studied, Ashe comes the closest to being an exemplary role model, Arsenault writes, paving the way for today’s athletes to speak out on controversial public issues and fight for social justice.